Entomology is the scientific study of insects. Dissection of insects is carried out to strip back layers and look at their body systems for education and scientific purposes. 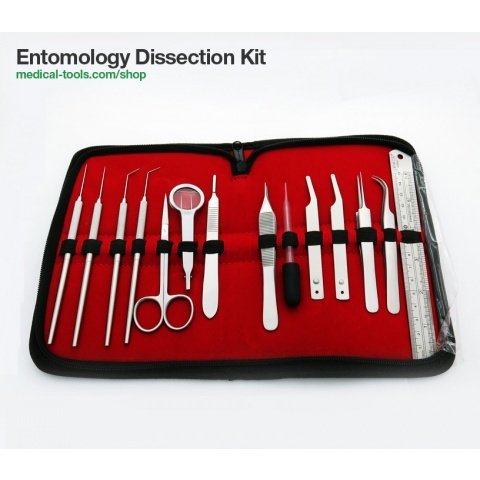 Medical Tools entomology kits contain necessary tools to perform this dissection. All Tools are made of surgical-grade stainless steel and used by students and professionals.